Currently, there is an increasing number of Australians that are deciding to utilise music therapy. This has been shown countless times to be very powerful in helping an individual maintain health and vitality. There are lots of very experienced and skilled music therapists currently working in Perth who have helped thousands of Australians enjoy a better quality of life. 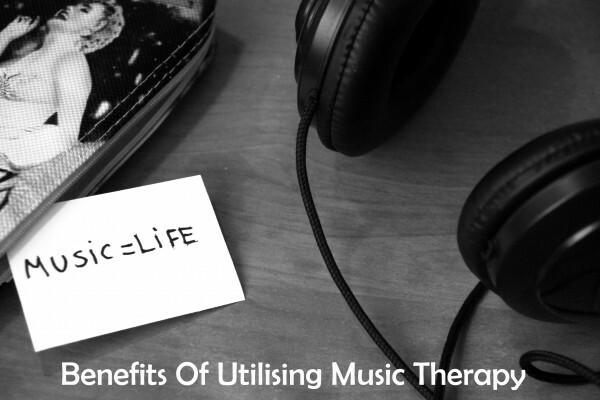 With all of this in mind, this article will look into the various benefits that you may enjoy when utilising music therapy in Perth and all over the world. Therapy using music does not have a strict definition. There is a lot of debate around what exactly constitutes music therapy. However, it is often agreed that music therapy involves any kind of professional practice which includes music to help support individuals. It can be used to benefit elderly individuals or people with disabilities. This therapy does not have any boundaries when it comes to its effectiveness. It has been shown to have great potential in aiding individuals, regardless of their age and background. One great benefit that comes with music therapy is the fact that it may help you with your attention skills. This may require you to focus on the various rhythms and harmonies that are present in music. This activity can also be used in situations such as in a work environment. Music is full of multitude of different dynamics. Using this therapy will enable you to concentrate on these different dynamics and gain very useful concentration skills. Many music therapists in Perth note that a lot of their clients experience a great surge in their ability to concentrate on everyday tasks. Another positive benefit that comes with music therapy is emotional release. Emotion and music go very much hand in hand. It is often agreed that music is created through emotion. Whether it is intense love or great sorrow, music is often created through the emotions of an individual. Furthermore, this emotion can be felt and enjoyed through the listener of the music. Music therapists can help you achieve emotional release through a wide range of carefully selected music that can help you ease any kind of emotional burden you have. A very interesting and promising benefit of this type of therapy is improved memory. You may associate certain types of music with certain memories. You may have heard a song during a particular period in your life and associate the song with this particular period. Music therapists have the ability to help you explore the depths of your memory or improve you memory through music. There is quite a lot of anecdotal evidence from past clients of music therapists in Perth which shows that music therapy can help prevent memory related illnesses such as short term memory. If you are looking to improve your memory and enjoy past memories you had, music therapy might be just what you need. Increased motivation is another great advantage that comes with music therapy. If you have been feeling quite unmotivated and tried as of late, music therapy can help you quite significantly. Music has been shown to help motivate individuals. The upbeat tempos of certain types of music can really help the brain focus and motivate itself to achieve goals. If you decide to undertake music therapy in Perth, music therapists may be able to recommend and provide you with specific music that will very likely help motivate you to achieve your goals. If you have any kids, this therapy has been shown to be very beneficial for growing children. Music has a very profound effect on our brains, it helps it develop and work at maximum capacity. Many people do not realise that music has a very specific effect on the brain. Children who utilise music therapy will not only feel more relaxed and energised, their brain development may also be aided. Therapists on this field can help children enjoy and tap into various areas of their brain by listening to certain types of music. Lots of parents notice that their children are a lot more articulate and calmer once they are taken to a music therapy session. As you can see, there is a large number of great benefits that come with music therapy. There are many skilful and professional music therapists in Perth that would certainly love to help you in improving your life. Remember, music therapy does not have any boundaries. Whether you are looking to improve the development of your child or seeking for some aid in concentration and motivation, music therapy in Perth can certainly help you.